1: Broadest product Stocked selection:150,000 plus, There are new products added every day. 9: 10 years' industry experience with over $20 million in annual exports. 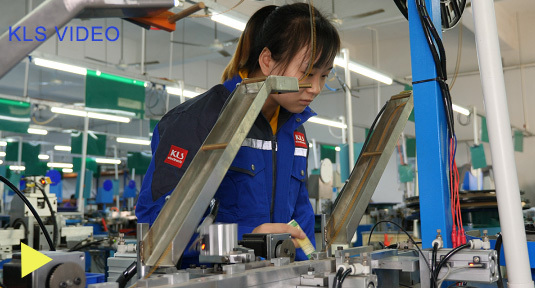 10: KLS Corporation is one of the fastest growing distributors of electronic components in the world. You are searching for creditable and professional supplier to work with;we are also looking for sincerely and long-term customers. Once we find each other, we could make rapid progress together! KLS offers comprehensive and professional engineering support for customers. To find out feasible solutions, we’re please to communicate with customers from mold making stage to final testing processes. Whenever there is a customized requirement on injection, stamping or/and plating, our integrated engineering team is here to provide feasible solutions. Through the effective cost-control & planning, we aim to maximize productivities & shorten the lead-time. Whether you need assistance finding the right part or recommendations for your design, KLS’s Customer Service, Applications Engineering, and Technical Support teams and resources are at your disposal 24 hours a day, seven days a week via telephone, e-mail, or live web chat.